The industrial elements – metal, rivets, exposed pipes and brick – plus the patina of the wood and corrugated metal, combined with chunky leather sofas and a few large plants, deliver a certain old-world sentimentality. The result contains a subtle hint of steampunk while retaining modern comforts. Beautifully done! 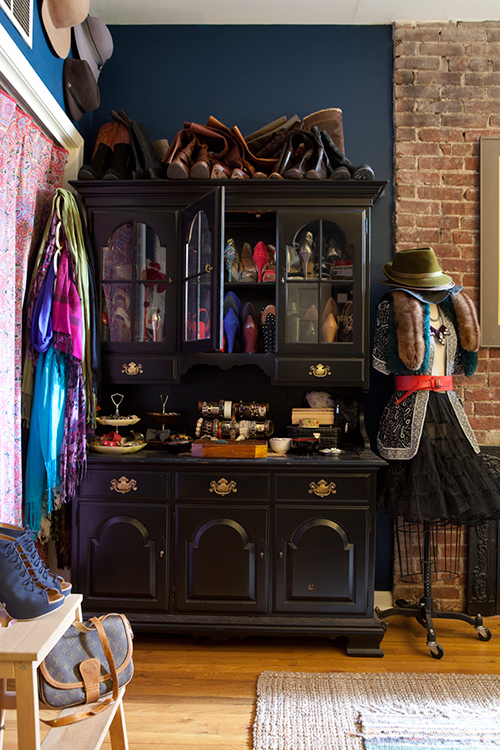 From the residential interiors photo collection by Scott Gabriel Morris at SGM Photography; found via Desire to Inspire. Jourdan Lawlor and Tobin Ludwig created a home in a teeny, tiny Manhattan apartment. It’s only an incredible 242 square feet or approx. 22.50 square meters. You can tell that the apartment is a small one from the photos. Every basic home function has a place, however, and that makes all the difference. Max Touhey via Curbed NY / Yahoo Homes. All images by Max Touhey via Curbed NY / Yahoo Homes. Found via Yahoo Homes. How about that! The arrangement is one of the best I’ve seen. I also love the fireplace-as-storage-nook. Kudos for making such a small space work so well. While I may have some qualms about the adaptation of The Song of Ice and Fire cycle for the screen, there’s no doubt that the production values are amazing. I am in awe of the costuming, lighting and set decorating departments especially. They do such gorgeous work! Since imitation is the sincerest form of flattery, here’s a room re-do from season 1 of Game of Thrones: the entryway into Maester Pycelle’s room in King’s Landing. Game of Thrones, Season 1, episode 10. HBO. 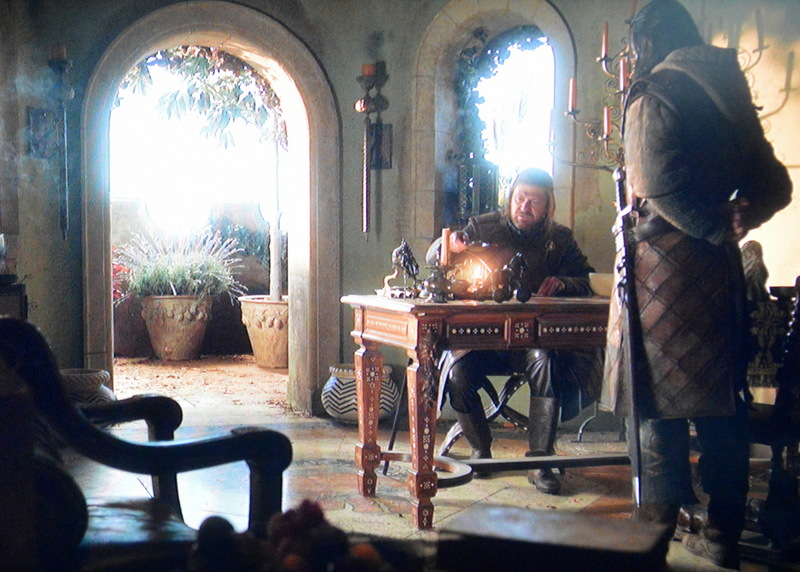 This corner of the room is seen in episode 10, and it’s where Maester Pycelle dons his official-old-dude posture. In the screencap above, the door is at the left, behind Pycelle’s back. There’s a wooden char in the lower right-hand corner and a mirror on the wall. The shelves are filled with small chests or boxes, jars, some candles, herbs in vases and other doodads. Finding a chair similar enough was a challenge, just like the furniture in my Eddard Stark office re-do. You might find a replica by searching for x-frame (or x-form) chair, Dante chair, Savonarola chair or scissors chair. 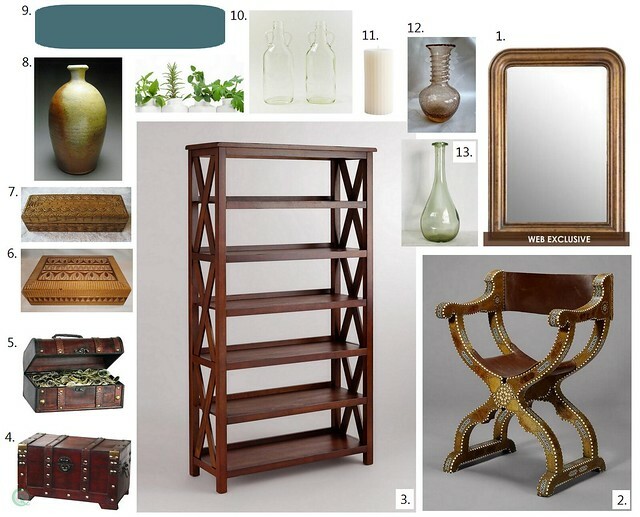 It’s much easier to find modern bookcases resembling Pycelle’s shelves, though, and I found an exact match for the mirror. Chests, wooden boxes, old bottles and vases are probably easiest to find in thrift and antique stores, but I’ve listed some online options below. The Edge Mirror, Kirkland’s, $140. Exact match! Wall paint: Behr Premium Plus Ultra Cathedral. There are also several other muted teals you could pick from. Anything you’d add or remove? I’m excited that season 3 of the Game of Thrones is available on disc now! 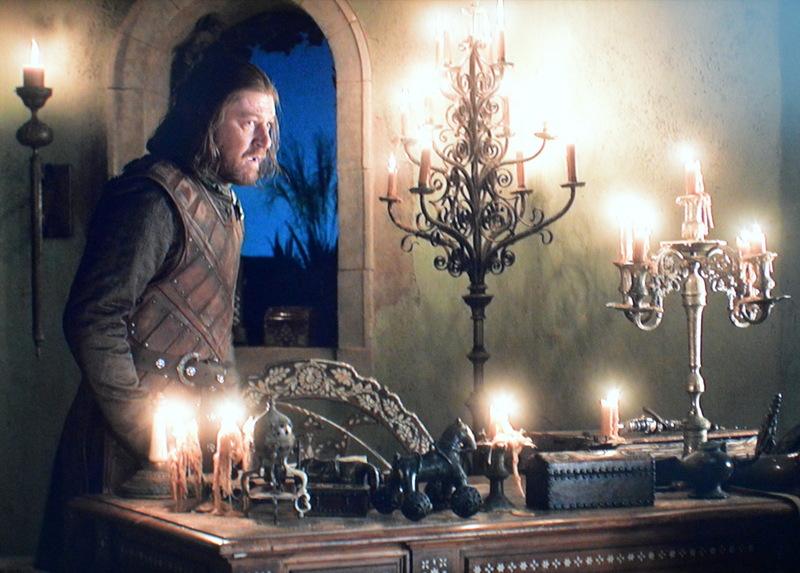 To celebrate, here’s a room re-do from season 1: the room in King’s Landing that Eddard Stark used as his office when he was King’s Hand. Like all the GoT sets, the space is gorgeous. Unfortunately, the room doesn’t get much screen time, but some clear details emerge. The walls are mostly bare stucco (or the like) in a muted yellowish tone. There are no rugs, drapes or curtains. The doorway to the balcony is bare like the windows, and large planters with greenery are seen through the opening. Apart from the windows, light comes from candles on a multitude of metal candlesticks. The furniture is ornate and made of golden brown or dark wood. A desk with inlay decoration around the edges and on its legs sits in front of the windows. Compared to the elaborate chair inlays, however, the desk is staid. There are papers, supplies and knick knacks on the desk. There are also two other chairs that don’t feature prominently: a visitor’s chair in front of the desk with what looks like turned, Renaissance-style wooden legs and a wooden arm chair to the side of the room. Game of Thrones, Season 1, episode 6. HBO. Game of Thrones, Season 1, episode 7. HBO. The main problem with a re-do of Eddard’s office is furniture styles. Comparable pieces found today are almost exclusively antiques, which are not only hard to come by but expensive. 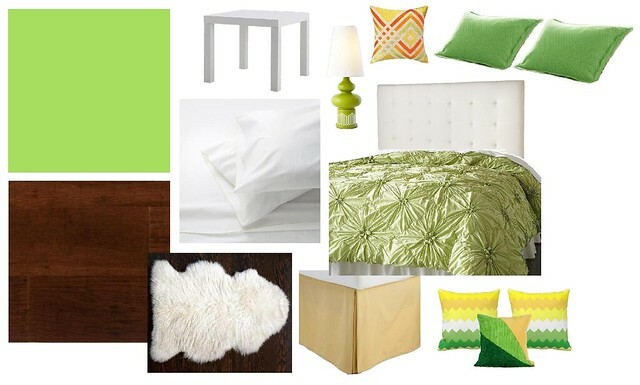 My re-do is therefore approximate and includes some DIY elements. An Indian-style mother-of-pearl inlay wood chair, via Bonhams, $300-$500. An almost exact match to Eddard’s chair! Table accents: small wood chest, BrightwoodLane on Etsy, $18; antique toy – primitive horse with rider, YourHeart on Etsy, $38; vintage 4-arm Baldwin Brass candelabra, LampAndLightingDecor on Etsy, $95. You could add pretty much as many candlesticks as you’d like. Wall paint: Behr Premium Plus Ultra Beacon Yellow. 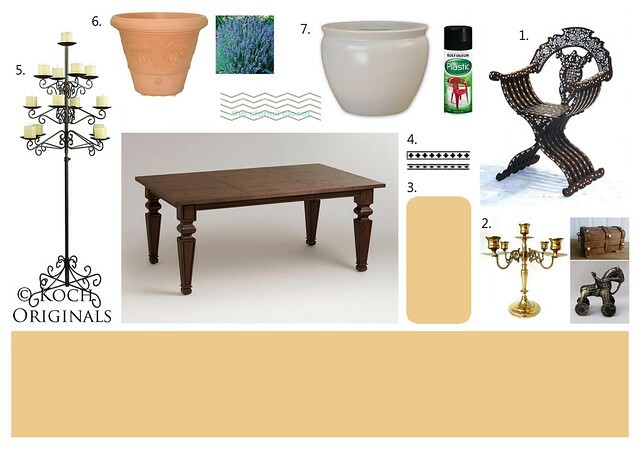 There are also several other muted pale yellows that would work quite well. Table with DIY-stenciled Indian-style inlay decorations around the edge and down the legs: Bishop double extension dining table, World Market, $700; Indian inlay furniture stencil kit by Kim Myles, Cutting Edge Stencils, $35. Large bone inlay desks are hard to find, and if you do find one, they tend to be expensive antiques. Painting small decorations on a modern dining table is a cheap alternative. Planter with lavender: Marchioro 15.75-inch terracotta planter pot, Home Depot, $25; 10 Lavender Lady seedlings, Garden Harvest Supply, $5 each. Those with a green thumb could easily plant their own lavender. A smattering of candles everywhere! For Halloween, here are a few arresting, interesting, stunning dark spaces. 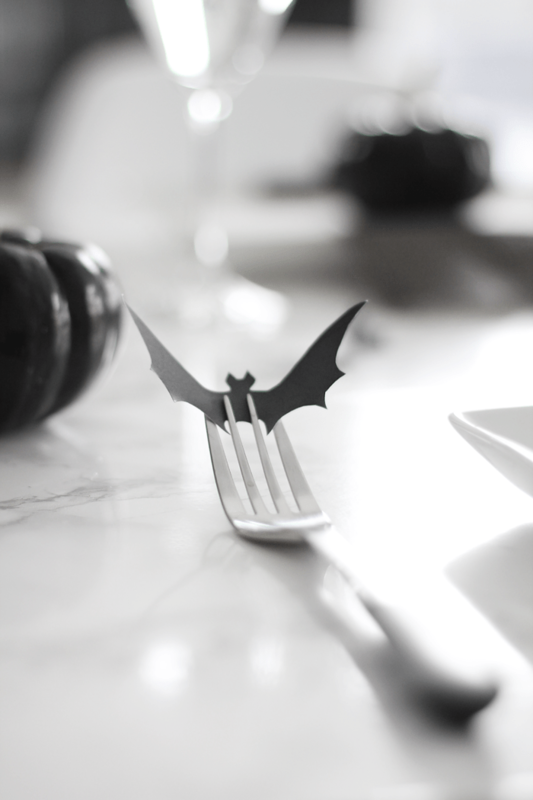 Halloween decor easily gets tacky, but these tricks / spaces have wider appeal. Enjoy! Therese at Eye on Details. Architects at Sawyer | Berson. 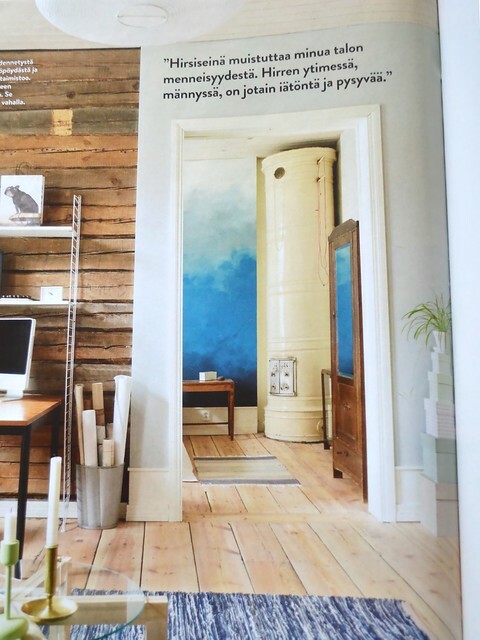 Photo Pia Ulin, styling Cilla Ramnek; Residence 6/2013. 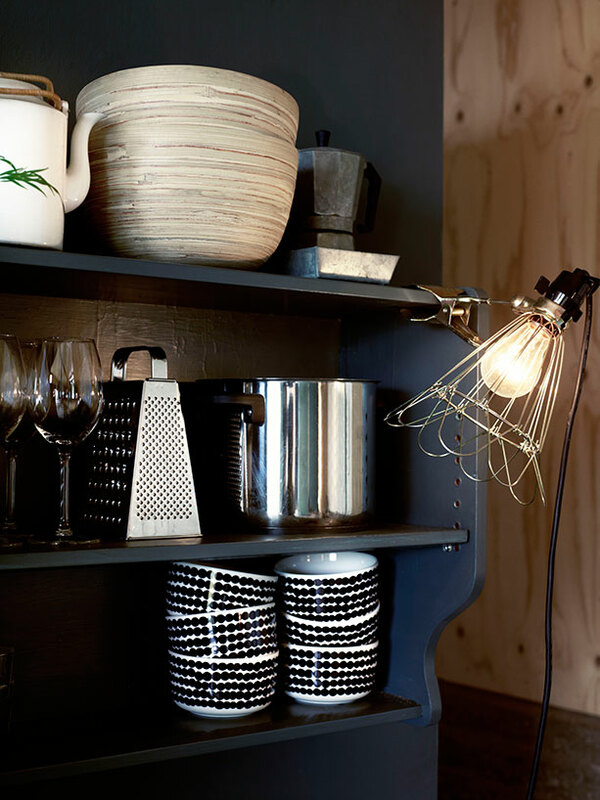 From the home of architects Henrik and Lotta Imberg. Again, via Husligheter. Who says a dining room hutch can’t hold shoes? Photo by Sara Kerens Photography; design*sponge. From the home of Jessie Artigue and Gerard Brown. Because when your clothing is awesome, why hide it? 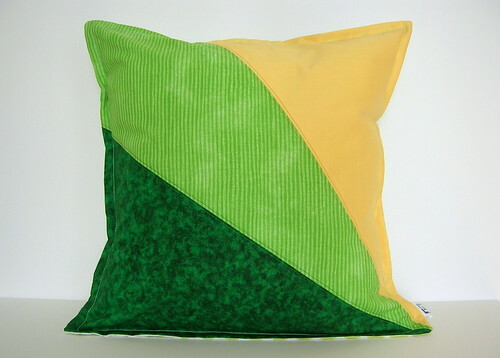 Featured at design*sponge (with so many more intriguing photos than this!). P.S. 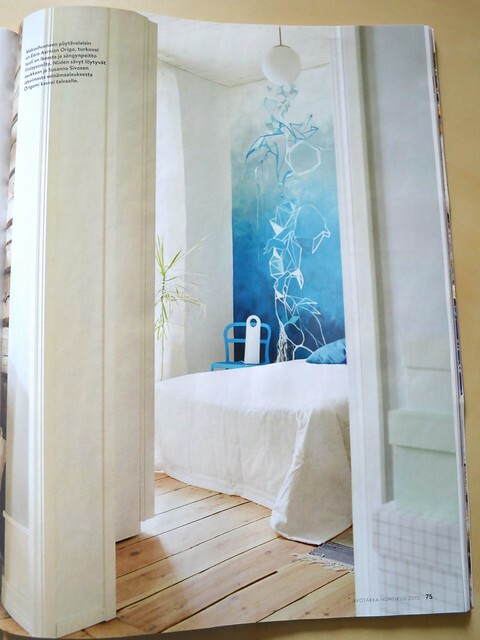 Three additional links: Nicole Balch (from Making it Lovely) created a fantastic feature on dark walls for Babble. There’s also a great collection of photos of a converted public library and a set of interiors with black & gold at Desire to Inspire. Check them out!